Economic or Financial Crisis is a broad term used to describe a situation in which a financial institution loses a big part of their value. Over the years, it has been associated with banking panics, recessions, stock market crashes, bursting of other financial bubbles, currency crises, and sovereign defaults. Many theories have been proposed for the cause and prevention of an economic crisis, however, it is seen regularly around the world. A banking crisis is seen when a bank suffers from several bank runs at the same time.In other words, when there is a sudden rush of withdrawals by bank’s depositors.Banking crisis may leave the bank in bankruptcy. Stock Market crash is a social phenomenon with a sudden fall in stock prices in the stock market. Currency Crisis is a type of financial crisis that occurs due to a quick change of value of currency, undermining is ability as a medium of exchange. Recession is known as the reduction of country’s gross domestic product (GDP) for several quarters. 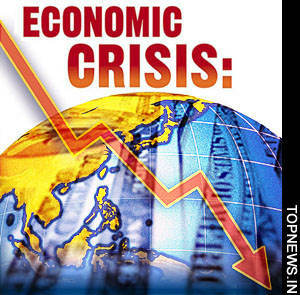 What Causes an Economic Crisis? Strategic Complementarities in Financial Markets For any business or an investment to be successful, it requires important decisions to be made by the investors. It is also observed that investors also require guessing what the other investors will do. Thus, according to economists ‘Strategic Complementarities’ is an incentive to mimic the strategies of others, which can influence the financial market accordingly. Leverage is the term used when money is borrowed to supplement existing funds for investment in a way where the outcome, whether positive or negative, is magnified.Leverage increases the risk of bankruptcy, hence, it is seen that the average degree of leverage in the economy rises preceding a financial crisis. Another factor that can contribute in creating a financial crisis is called asset- liability mismatch. Asset-liability mismatch occurs when there is no correspondence between the assets and liabilities. Emphasized by analyses of financial crises, human and social, cognitive and emotional factors play a major role in making the economic decisions. Mistakes of these economic decisions can cause a financial crisis. A separate branch of economics, known as Behavior Finance, studies these errors in economic and quantitative reasoning. In order to eliminate or diminish the financial crisis, government plays a role by regulating the financial sector. Goal of the government in regulation is transparency of an institution, making sure that institutions can meet their contractual obligations by observing their reserve requirements, capital requirements, and creating limits on leverage. One of the major reasons for collapse of financial institutions is fraud. It occurs when companies attracts depositors through misleading claims about their investment strategies, for example, the Charles Ponzi's scam in early 20th century Boston. The idea of a financial crisis spreading from one institution to another, or from one country to another is known as Contagion, occurring during currency crises, sovereign defaults, or stock market crashes spread across countries. Recessionary effect plays a role in decreasing growth on rest of the economy. There are many theories to explain this phenomenon which includes 'financial accelerator', 'flight to quality' and 'flight to liquidity', and the Kiyotaki-Moore model. © Copyright 2011, Life For Rent. Theme images by Shobi. Powered by Blogger.